Barton’s Movie Reviews | SHAZAM! As follow ups go, this one is going to be pretty simple. At least in some respects. I saw this game last year at Gamescom but it was one of the many that I didn’t have the time to write fully about. So part of this is going to be a bit of a recap of last year as well. Although, there’s has been some advancements since last year. It’s more in the realms and process’ of the games development so what there is to talk about since last year isn’t that impressive, but it’s as the game should be going as it gets further developed. So to start, lets explain what the game is. 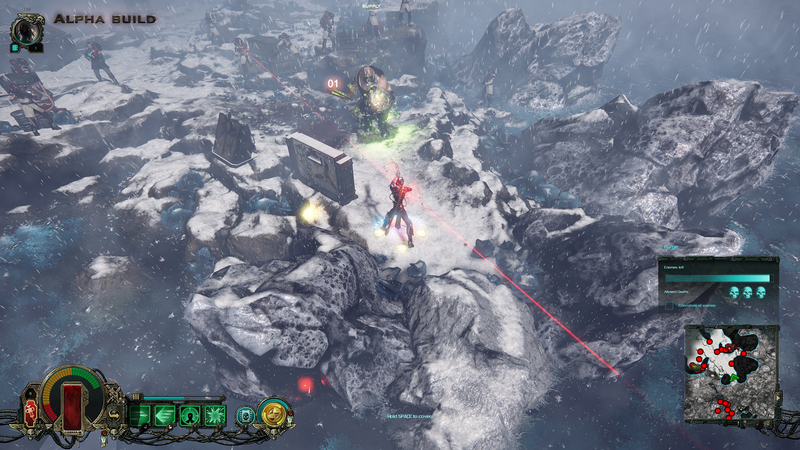 ‘Martyr’ is an clicky action RPG (ARPG), the same genre and gameplay style as the“Diablo” series for example. 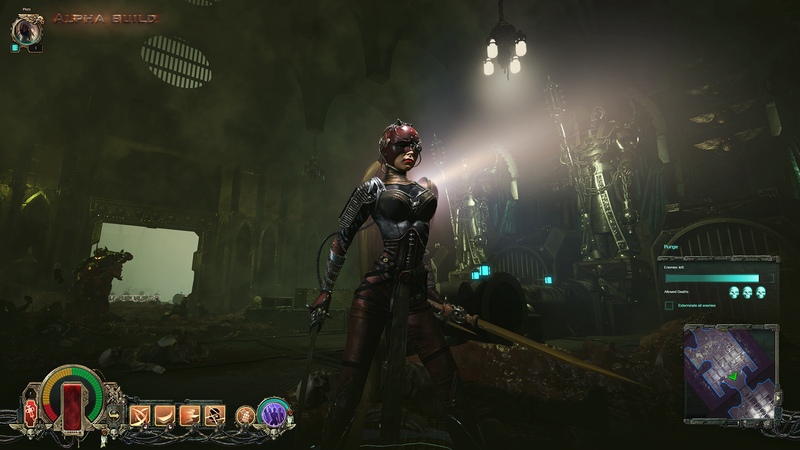 It’s set in the Warhammer 40k universe where you play as an Imperial Inquisitor. An Inquisitor wouldn’t be miss-called as a ‘war priest’. They’re the devout followers of the Golden Throne (the head of the empire) and have the job of purging the unclean, which is basically anyone not in the empire (‘the xenos’) as well as some who are/left (‘the heretics’). Last year they demoed only two of the character classes from the planed full set, the assault and the assassin. This year they had the same two classes but with two sub-classes each, each with a crowd control and attack class and a lot more levels. Like I said, it’s not much of an upgrade but there is objectively more so development is moving forward. It’s just still in development. One issue with the characters run into is the same as most ARPG’s; regardless of the class or subclass you chose, you’ll end up leaning to having a heavy style character. An ARPG is built on swarming so you’ll have to tank a fair bit, either as melee or ranged. At least regarding singleplayer. There is a cover system that is meant to add something for the shooting but it just ends up getting in the way. Your not forced to do it and it not bad to use. It just slows the gameplay down and ends up being a bit cumbersome. When your behind cover you pew-pew in bursts or in single shots (gun type depending) but you can just fire (more inaccurately mind) in full-auto out of cover. The visual range of an ARPG and the number of enemies they throw at you means that the shooting capability behind cover more slows everything down. It’s just quicker to shoot and tank damage and skip all cover. Then there’s the other note of there being primary melee class’ so cover for some would literally be counter productive. It many not seem much of a peeve of the game but it’s one of their advertising points with them saying that the system is ‘dynamic’ as the cover can be destroyed and used in your advantage, like collapsing a pillar onto an enemy. But when your demo guy for the presentation doesn’t even use it, that’s a sign of it’s lack of usefulness. Being able to bomb and collapse/destroy cover is very useful and with some enemies scattering for cover while larger monsters just trudging towards you it adds to the feel of the different enemy types. Just from the perspective of the player, it’s just not useful to use the cover. Not a negative by design, just a negative in usefulness. Apart from that, the game is very good, both last year and more so this year with the additional content. The detail in the design is very good with the creative writing lead being at the event (both years) and having an extensive knowledge of 40k lore. Being able to explain the why there are different classes and why you just roam in this sector of space really adds to the feel of the universe. The games leading component is being online. Not necessarily multiplayer (although online multiplayer components for 4-player co-op are there) but being generally online. As the game moves forward they plan to have ‘seasons’, special events where the new planets/systems could be added or be destroyed with permanent effect. It’s a way to make bold changes and have the story of the game be directly tied to the players. With everyone being Imperial, all players are tied to the same goal so either everyone fails or everyone succeeds. It’s a bold selling point but it’s more then possible given the games design and platforms. Overall, the game is good. The only issues I have with the game, like the cover system, can literally be ignored as it’s not in the way and the game works well with or without. The big selling point would be the ‘seasons’ but the grandeur of it can only be seen in time. If it works, it means the game would have support long into the future giving it longevity. It plays well, feels well and looks well. A game for the Warhammer Astartes lexicon. ‘Martyr’ is available now through Steam Early Access and has a planned release date in Q1 (Jan – March) 2018.